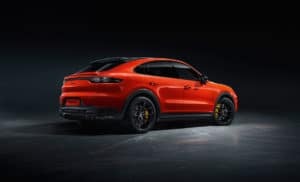 *We are now accepting deposits on pre-orders for the 2020 Cayenne Coupe. Allocation is unknown at this time and availability will be extremely limited. 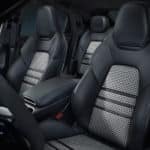 Revised design proportions give the new Cayenne Coupe models a more athletic appearance. That effect is supported by a roof spoiler, which accentuates the distinctive Coupe silhouette. 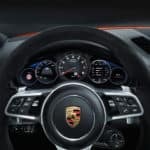 The front windshield and A-pillar are shallower than in the Cayenne, courtesy of a roof edge that is roughly 0.78 inches lower than the standard design. Redesigned rear doors and quarter panels broaden the shoulders of this vehicle. The license plate bracket is now a part of the bumper, creating the visual sense that the vehicle sits lower to the ground. The new Porsche Cayenne Coupe is expected at Ray Catena Porsche for the 2020 model year in the fall of 2019.